With the price of oil in the international market on the rise, Prime Minister Hun Sen yesterday announced he will unveil a new policy to deal with the impact of more expensive crude on the 28th of this month. During a speech yesterday at a title bestowment ceremony at the Royal Academy of Cambodia, Mr Hun Sen said the current hike in the price of crude will not only hurt the country’s industry, but also everyday consumers. “The price of oil in the international market continues to rise, and this will put upward pressure on retail prices at home,” the premier said. “Whenever OPEC freezes production, the impact in Cambodia is substantial. We need to come up with the right policies to minimise this impact. “I mark the 28th on my calendar. This day I will announce a number of initiatives to deal with this issue,” he said. Long Kemvichet, spokesman at the Ministry of Commerce, said his ministry has already submitted a report to Mr Hun Sen based on input collected from local oil firms which details the current situation and proposes a series of recommendations to lessen the impact of rising oil prices. “We have analysed the situation very carefully to come up with a course of action that will minimise the impact on our people and economy. “After meeting with big oil companies to hear their side of the story, we have submitted a report to our prime minister,” he said. Mr Kemvichet, however, refused to go into details regarding the contents of the report. He said the ministry continues to follow the government’s fuel pricing mechanism, a system that recalculates retail fuel price caps every 10 days using a formula that aims to reflect changes in global oil prices. That formula is used to calculate the price of regular gasoline and diesel. Premium, also known as ‘gold’, is excluded. “When the Prime Minister issues new orders on the 28th, the ministry will follow them,” he added. Bin Many Mailia, deputy managing director of PTT, a Thai state-owned oil and gas company, told Khmer Times that the hike in the value of petrol is the direct result of US’s withdrawal from the Iranian nuclear deal and its ongoing trade spat with China. He said prices will continue to rise if these conflicts remain unresolved. Kaing Monika, deputy secretary general at the Garment Manufacturers Association in Cambodia, said the hike in the price of oil is likely to increase production costs in the textile industry by driving up the price of electricity. At the same time, more expensive oil means more expensive transportation, he added. “The increase in oil prices will affect local trucking and international shipping costs. However, we are more concerned about the impact it will have on the lives of our workers,” he said. “Some are concerned about the price of electricity, but fuel-based plants are less common nowadays. More and more energy in Cambodia comes from hydropower dams and coal-fired plants,” he said. According to Mr Monika, energy generated at oil-fired power plants now accounts for less than 10 percent of total energy output in the Kingdom. “The government has also assured us that the price of electricity used for industrial purposes won’t increase,” Mr Monika said, adding that electricity prices could decrease in the near future due to the recent approval of a project to build a 60-megawatt solar power plant in Kampong Speu province. 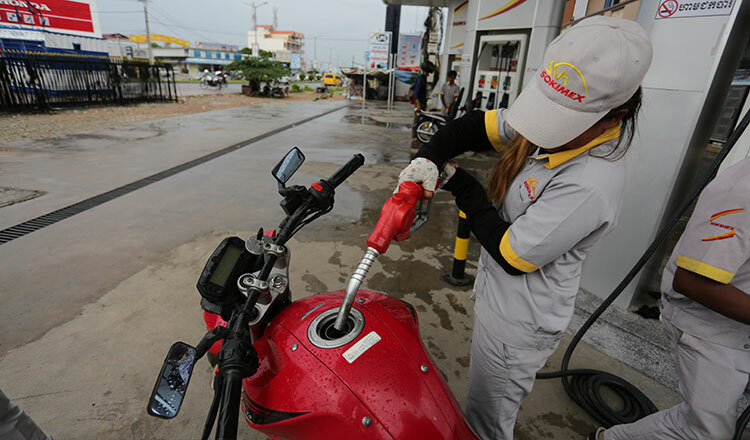 According to the Ministry of Commerce, from June 15-21, regular gasoline in Cambodian gas stations sells for 4,200 riel per liter, while diesel retails at 4,000 riel. Agrophotovoltaics (APV), a technology which combines the production of solar electricity and crops on the same land, has already been successfully demonstrated in pilot projects in several European countries. The Fraunhofer Institute for Solar Energy Systems ISE in cooperation with the Innovation Group “APV-Resola” have proven the feasibility of Agrophotovoltaics with a 194 kWp APV pilot system realized on a farm near Lake Constance in Germany. The project results showed that APV increases the land-use efficiency by 60%. Fraunhofer ISE, together with Fraunhofer Chile, tested three 13 kWp APV systems in the Chilean communities of El Monte, Curacavi and Lampa. The Chilean APV pilot project ended in spring 2018 and was financially supported by the Santiago de Chile Metropolitan Region Government. In the project, investigations were carried out to determine which plants benefit from less radiation exposure, i.e. shading from the APV array. Sensors measured the meteorological data like solar radiation, humidity, soil moisture and ground temperature. The data was also used to optimize the on-site irrigation system. The operation of the three farms chosen for the project differed greatly: The first APV system was installed on a farm using very professional methods to grow broccoli and cauliflower. The solar electricity was used in the production process to clean, package and cool the produce. The second APV pilot system was installed on a family-run farm that grows herbs and other crops. The third system was set up in a remote region with a weak infrastructure. Access to the electricity grid is available, but electric service is quite irregular. The APV plant provided electricity for seven families, providing power to an incubator for hatching chicken eggs, among other things. The three APV systems in Chile are the first of their kind in Latin America. The Fraunhofer Chile supports the scientific parts of the project, and the Fraunhofer Center for Systems Biotechnology CSB analyzes the agricultural aspects. The Fraunhofer Center for Solar Energy Technologies CSET addresses the energy-related and technical questions in close consultation with Fraunhofer ISE. Investigations involve adapting and optimizing the APV technology according to the specific climatic and economic conditions in Chile. The results of both the crop and solar power production are very positive. As a result, the APV research at Fraunhofer Chile shall be expanded thanks to the support of the local government. The three pilot plants will be monitored for three additional years, operating them as on-field labs. A long term plan involving different type of crops has been coordinated with the farmers, so it will be possible to test the concept with a large variety of products. In the arid and semi-arid regions in Northern and Central Chile, there is great potential for APV, since a large percentage of the people live from agriculture, which is impacted by the increasing amount of dry periods, desertification and water scarcity due to climate change. The projects show that the partial shading of crops planted underneath APV can reduce their need for water and also offer livestock shelter from the sun. Also, it is expected that various fruits which normally do not grow well in dry climates with high solar radiation would grow underneath an APV system. At the same time, the generated electricity can be used to operate water pumps or desalination systems. In remote regions, the quality of life is increased immensely just with the electric output of a few solar modules providing improved access to information, education and also better medical care. In sub-Saharan Africa, about 92% of the rural population have no access to electricity. APV offers new sources of income to the local population and at the same time reduces the dependence on fossil fuels, needed, for example, for diesel generators. Besides this, solar power can be used for cooling and processing agricultural crops, making them preservable and also more profitable. In cooperation with the Deutsche Gesellschaft für Internationale Zusammenarbeit GIZ GmbH Vietnam, Fraunhofer ISE carried out a proof-of-concept study analyzing the possibility of installing Agrophotovoltaics at shrimp farms located in the Vietnamese Mekong Delta. In this region, there is an increasing competition for land between aquaculture and renewable energy. The current project SHRIMPS “Solar-Aquaculture Habitats as Resource-Efficient and Integrated Multilayer Production Systems” has the potential to solve a series of systemic problems in Vietnam. It would promote the deployment of renewable energy as well as enact measures to counteract climate change, expand shrimp production yet protect water resources, decrease land use and reduce CO2 emissions at the same time. 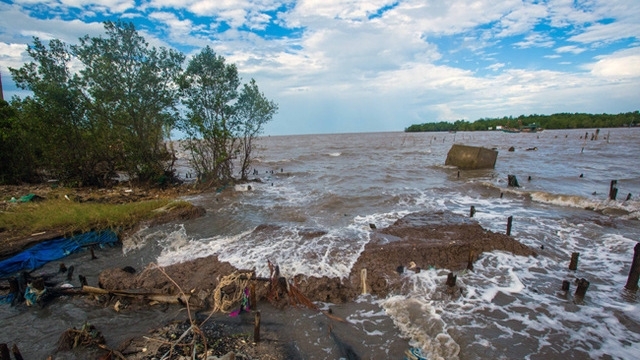 Based on the first analyses, the pilot project in Bac Liêu can save about 15,000 carbon dioxide emissions and reduce the water use by 75% compared to a conventional shrimp farm. This project can contribute an important part in reducing land use conflicts in this densely populated country while helping to meet the growing energy consumption (10% annually) with renewable energy sources. The aquafarm operators enjoy other advantages from this technology, such as protection against predatory animals, improved working conditions due to shading and a stable, lower water temperature that helps to promote the shrimps’ growth. With respect to the increasing growth of both PV and aquaculture worldwide, this concept becomes relevant for numerous other developing and threshold countries. June 20 (Renewables Now) – Singaporean energy group Sembcorp Industries Ltd (SGX:U96) has completed the acquisition of a 40-MW under-construction rooftop solar park in Singapore. The purchase was carried out through Sembcorp Solar Singapore Pte Ltd, which has bought all shares of MSOA Pte Ltd, the company developing the project. The Singaporean firm said in a press release last Thursday that its investment in the scheme, including the acquisition of the project development company and future costs for building the grid-connected plant is seen at around SGD 55 million (USD 40.5m/EUR 35m). Sembcorp does not expect the deal to have a material effect on its earnings per share (EPS) and net asset value per share in the current fiscal year. It did not provide additional information regarding the acquired project. The Singaporean company owns 12 GW of gross power generation capacity. According to its website its renewables portfolio consists of over 2 GW plants in operation and under development in Singapore, China, India and the UK. Energy utilities provider SP Group plans to build 500 charging points for electric vehicles islandwide by 2020. The points will be placed at housing estates, shopping malls, industrial sites and business parks, the firm announced yesterday. While others such as Greenlots, Red Dot Power and BlueSG are already in the market, SP Group said its network will be the largest one fully accessible to the public. More than 100 of the charging points will be of the direct current type with a 50 kilowatt power rating that can fully charge a vehicle in as little as 30 minutes. SP Group said there are fewer than five direct current charging points here now. Most points use alternating current, and a lower 7.4kw rating, which takes the car about seven times longer to be fully charged. An app will allow motorists to pay for charging electronically while also getting updates on the availability of charging points. There is a chicken-and-egg conundrum when it comes to electric vehicle adoption… Many prospective drivers are concerned about the lack of a pervasive charging network. ” MR GOH CHEE KIONG, head of strategic development at SP Group. Details on pricing will be disclosed closer to the end of the year, when SP Group sets up its first 30 charging points. These will be a mix of the alternating current and direct current types. There were 592 electric and plug-in hybrid cars on the road here as at the end of last month, about 0.1 per cent of the total car population of 613,383. There are also 31 electric-powered goods and commercial vehicles. “There is a chicken-and-egg conundrum when it comes to electric vehicle adoption… Many prospective drivers are concerned about the lack of a pervasive charging network,” said Mr Goh Chee Kiong, head of strategic development at SP Group. He added that some have “range anxiety” – the fear that the electric vehicle will run out of battery in the middle of a journey. Owners tend to install their own charging points if they live in landed properties or get their condominium management to have stations set up, said Mr Terence Siew, president of the Electric Vehicle Association of Singapore. There are 30 condos with charging points. There will be more public choices available down the road. Charging infrastructure specialist Greenlots operates 16 publicly accessible charging stations, with aims to lift that to 50 by the end of this year. Electricity retailer Red Dot Power announced a partnership in February with PlugIT, a Finnish charging technology specialist, to install at least 50 charging stations by the end of next year. BlueSG, which runs an electric vehicle-sharing programme, aims to build 2,000 charging points by 2020, and make 400 of them available to the public. While electric vehicles are generally more costly than a comparable combustion engine car, Mr Siew said this will change as battery prices drop over the next few years due to mass production and economies of scale. “Electric vehicles will be cost competitive with normal cars,” he added. Dr Sanjay Kuttan, programme director of Nanyang Technological University’s Energy Research Institute, said the SP Group’s initiative should help to spur the adoption of electric vehicles, but the charging points must be well distributed and accessible. While there will be a combined 1,000 public charging points by 2020 – which could support between 2,000 and 10,000 vehicles – there must also be “one common consolidated payment system, across all infrastructure” regardless of which firm owns the points, Dr Kuttan added. Overseas funds are pulling out of six major Asian emerging equity markets at a pace unseen since the global financial crisis of 2008 withdrawing $19 billion from India, Indonesia, the Philippines, South Korea, Taiwan and Thailand so far this year, according to data compiled by Bloomberg. While emerging markets shone in the first quarter, suggesting resilience to Federal Reserve tightening, that image has shattered over the past two months. With American money market funds now offering yields around 2 per cent where 10-year Treasuries were just last September and prospects for more Fed hikes, the bar for heading into riskier assets has been raised. Headlines on trade disputes that could hit Asian exporters haven’t helped. While many emerging-market investors and analysts have praised Asian economic fundamentals, pointing to world-leading growth rates and political stability, some are starting to raise red flags as global liquidity starts to shrink. 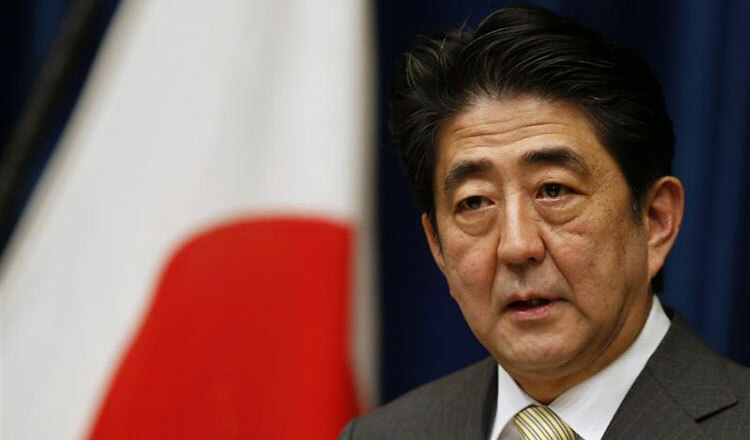 The Bloomberg JPMorgan Asia Dollar Index sank to a 2018 low last Monday, extending two weeks of declines after the Fed and European Central Bank both took steps toward policy normalisation. Yet some still remain optimistic. Bank of America Merrill Lynch expects some of the regional currencies including the baht and the Philippine peso to appreciate slightly by the end of the year, a research note sent Monday showed. Six of 10 best-performing emerging currencies so far this year are in Asia, led by the ringgit’s 1.2 per cent advance and the Chinese yuan’s 1.1 per cent gain. In Asia this week, the Philippine central bank, which raised its key rate in May for the first time since 2014, is expected to lift the benchmark again by 25 basis points to 3.5 per cent, a Bloomberg survey shows. The Bank of Thailand will keep its benchmark unchanged at 1.5 per cent the same day, according to a separate Bloomberg survey, though JPMorgan for one sees an increase coming next quarter. The baht has tumbled 4.6 percent against the dollar this quarter, despite Thailand having a current-account surplus in excess of a whopping 9 percent of gross domestic product (GDP). Thailand is also in the midst of the longest stretch of 3.5 per cent plus GDP growth since the early 2000s, according to the International Monetary Fund (IMF). Thai Finance Minister Apisak Tantivorawong, for his part, said Monday he’s not concerned about capital outflows, and the country’s central bank need not follow the Fed in raising rates. Meantime, the baht hit its 2018 low in Monday trading, and the main Thai stock index was down 1.2 per cent as of in Bangkok. As China and Central and Eastern European countries see substantial potential for cooperation in nuclear power technology, China General Nuclear Power Corp, China’s largest nuclear operator, is eyeing the region as a potential destination. “CGN has always focused on the markets in Central and Eastern Europe,” Huang Xiaofei, a spokesman for CGN. “As we are bringing the Hualong One third-generation reactor technology to the UK, we are confident the technology could be applied in Central and Eastern European markets in the future,” Huang said. The United Kingdom’s approval of CGN’s technology will open the door to other European countries as the UK’s appraisal regime is considered to be the strictest in the world, he said. The company has been active in the Central and Eastern European nuclear markets considering the growing share of clean energy in the region. It has signed memorandums of understanding with Czech and Romanian engineering companies for nuclear energy cooperation, and is in talks to build Poland’s first nuclear power station. The company is working to introduce the domestically developed Hualong One technology to more destinations, especially in Central and Eastern Europe, Africa and Southeast Asia, Huang said. CGN’s international business portfolio extends to more than 20 countries, with overseas assets accounting for 16 percent of the company’s total and revenue from overseas markets accounting for 20 percent. Countries including Thailand, Indonesia, Kenya, South Africa, Turkey, Kazakhstan and the Czech Republic have all shown interest in the technology, the company said. According to Xu Xiaodong, deputy head of the China Electric Power Planning & Engineering Institute, the Central and Eastern European region is an important Belt and Road Initiative partner for China and the nuclear sector offers massive potential for cooperation due to China’s nuclear power technology capability. After some 30 years of learning and innovation, China has mastered the independent design and manufacturing of third-generation nuclear power facilities, and has shifted from being a novice to a pioneer in the nuclear sector worldwide. Chinese nuclear companies are initiating new projects across the world and have the potential to become the next major nuclear technology suppliers on the global stage together with well-tested technologies from Canada, France, Russia, South Korea and the United States, according to analysts. Joseph Jacobelli, a senior analyst of Asian utilities at Bloomberg, said cooperation with Central and Eastern European countries will help find new markets for Chinese expertise and offer new earning sources. “There is a lot of interest from some Eastern European countries in building nuclear facilities and China could be one of the countries that bids for nuclear projects,” he said. From left, Seohee Construction vice president Ryu Byung-sun, SK E&C vice president Joo Yang-gyu, Philippine President Rodrigo Duterte and Philippine Energy Secretary Alfonso Cusi, pose for a photo during a business forum held in Seoul on June 5. South Korean construction firm SK Engineering & Construction Co. announced on June 17 that it has signed a letter of intent (LOI) with the Philippine government to build environmentally friendly coal-fired power plants worth about 2.2 trillion won (US$2 billion). SK E&C proposed an independent power project (IPP) plan to the Philippine government during a business forum in Seoul on June 5 that was attended by Philippine President Rodrigo Duterte. According to the plan, a consortium led by SK E&C will build and operate two 600-megawatt power plants on the Luzon Island in Quezon province of the Philippines. The power plants will use ultra-supercritical technology, the latest coal technology that can enhance generation efficiency by 15 percent and dramatically reduce the use of coal. If SK E&C becomes the first business operator using the ultra-supercritical technology in the Philippines, its project will be recognized as a separate business by the Philippine Board of Investments and be exempted from corporation income tax for up to six years. SK E&C said the latest project is meaningful in that it is a large IPP that can be directly invested by Korean institutions such as the Korea Development Bank and KDB Infra Fund. Jakarta (ANTARA News) – Indonesian Ambassador to South Korea, Umar Hadi, welcomed the cooperation agreement between South Korean company LS Cable & System and Indonesian company PT Artha Metal Sinergi to build an electric cable factory in West Karawang, West Java, Indonesia. The decision to set up a 64 thousand-square-meter plant, worth US$50 million, in an industrial area of Artha Hill is right, Hadi stated, as he witnessed the signing of a cooperation agreement between LS Cable & System and PT Artha Metal Synergy at the Indonesian Embassy in Seoul, on Monday. In a statement received by Antara here on Monday, the ambassador hoped that the plan to build a cable factory could meet the government`s target to distribute sufficient electricity throughout the archipelago, and the target was expected to be easily realized. “I call Indonesia in the formula 3 + 2. The three main things that make Indonesia the best place are the size of the existing market, access and availability of raw materials, and the abundance of labor force. In addition, the two driving elements are the pro-business government and the safety in Indonesia,” Hadi noted, while quoting this week`s release by Gallup Report, Switzerland-based international polling agency, which places Indonesia as the world`s top 10 safest countries. The plant will be ready for operation by the end of 2019, with a target of generating sales worth $100 million in 2025. Signing the joint venture agreement are President Director of PT. Artha Metal Synergy Felix Efendi, Artha Graha Network Panji Yudha Winata and his Korean partner CEO and CSO LS Cable & System Ltd. Myun Roe-Hyun and Ju Wan-Soeb. Also witnessing the signing was the Director of Indonesia Investment Promotion Center in Seoul, Imam Soejoedi. In response to this deal, AMS CEO Felix Effendi explained that the joint venture is aimed at strengthening the two-sided cooperation. “Our joint venture not only signifies the collaboration of both companies but also the strengthening of the bond between the two countries,” he noted, explaining that the joint venture will utilize the expertise and experience of each party and provide a significant technological transfer process from one of the best power cable manufacturers in the world. LS C & S was established since 1962. In the last 56 years, LS C & S has grown to become one of the largest power cable manufacturers in the world by utilizing innovative technology in its products. With the establishment of this plant in Indonesia, LS C & S will have seven production companies in Asia, including in China, India, Myanmar, and Vietnam. On the other hand, AGN`s business space spans many sectors throughout Indonesia, such as property, finance, agriculture, and hotels. Indonesia itself is the largest consumer of electrical cable in ASEAN, with growth of more than eight percent per year. This is driven by the government policy in massive infrastructure development, especially in the fields of electrical energy and construction. We thank Mr Alan Kiat-Leng Lee for his views on Singapore’s climate change efforts (Go further in push to develop clean energy; June 7). Reducing vehicular emissions and increasing renewable energy deployment are critical to helping us achieve our climate change pledge under the Paris Agreement. To reduce vehicular emissions, we take a multi-pronged approach by promoting green mobility options such as public transport, walking and cycling; managing the growth and use of private vehicles; and encouraging fuel and carbon efficiency. For the latter, we have been facilitating the adoption of greener vehicles. The Land Transport Authority will be trialling 50 diesel hybrid buses by the end of this year and 60 electric buses by next year to better understand the operational challenges of deploying such buses on a full-scale basis. The private sector is also closely involved in piloting green vehicles. Since September 2016, HDT Singapore Taxi has been conducting an all-electric taxi trial involving 100 taxis. As for renewable energy deployment, we aim to raise Singapore’s solar power adoption to 350MWp by 2020, and 1GWp thereafter. The public sector has initiated a programme named SolarNova to drive demand for solar deployment across public-sector buildings and spaces. Last November, different government agencies came together to launch the largest solar leasing tender by the public sector to date. PUB has initiated a pilot to test floating solar photovoltaic systems on reservoirs. JTC Corporation has also launched a programme called SolarLand to install solar panels on vacant land as an interim use. Notwithstanding these efforts, we can do more as an economy and society. Singapore has designated 2018 as the Year of Climate Action. We encourage all Singaporeans and companies to contribute ideas and take concrete steps to fight against climate change. BCPG Plc recently acquired 100 per cent of shares in Lom Ligor Co Ltd, with wind power facilities in Nakhon Si Thammarat capable of producing 10 megawatts of electricity. President and CEO Bundit Sapianchai said the company on June 15 purchased the entire equity of Lom Ligor, operator of the project in Pak Panang, with the investment including share acquisition and construction not exceeding Bt825 million. The project is under construction but expected to start commercial operations by the end of 2018.